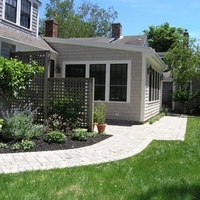 AP Kimball Construction LLC has been doing business on Cape Cod as a full service home building and remolding company since 2003. We are located in Yarmouth Port, Massachusetts. 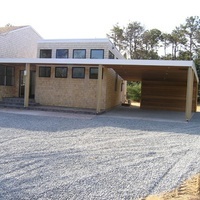 We have an established service oriented company providing new construction, remodeling, maintenance, and repairs. We take care and pride in providing outstanding service to clients, with a focus on listening to and understanding each clients. If you live in a house that you generally love, you plan to stay there for at least five more years, and it?s located in a desirable neighborhood - remodeling makes perfect financial sense and makes your home the place you WANT to spend your time. 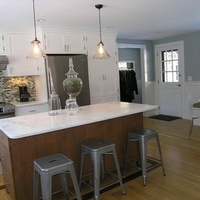 Remodeling can give your kitchen a fresh, updated look. It can give your family the space it needs, or it can make an ordinary bath luxurious. Well-planned and utilized square-footage, efficient and up-to-date kitchens, and design-smart bathrooms generally increase the value of your home. Let our team at AP Kimball give you options of your next project, and create the dream room and home you are looking for. When AP Kimball completes a new build or a remodel, we don't just walk away. We pride ourselves on offering continued service to upkeep your properties and help you maintain if your are not at your property 12 months a year. 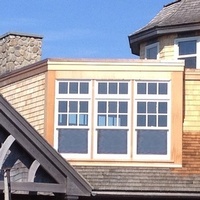 Our office and our extensive contractors can provide all your needs to upkeep your Cape Cod home.